David Calderisi, a Rubaiyat colleague from Canada, has drawn our attention to an interesting lecture on Omar Khayyam and his writings, which can be found online. The lecture, given in 2012 by Professor Mehdi Aminrazavi at the Library of Congress, is entitled “Reading Omar Khayyam’s Ruba’iyyat with Their Historical Context“. 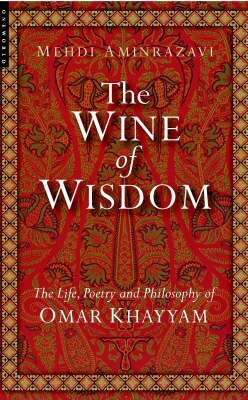 It draws on Professor Aminrazavi’s book on Omar Khayyam and his life, poetry and philosophy, The Wine of Wisdom, which was published by Oneworld Publications in 2005. This book provides one of the best analyses available of the various theories about who Omar Khayyam was, and what he actually believed and wrote, and the lecture in 2012 is a good introduction to many of these topics. It can be found on https://www.youtube.com/watch?v=-7emxMx8CNw.